Red maple swirl, Bretton Woods, New Hampshire, USA. This is another photograph that I have had printed by a professional service and was not completely satisfied with (like THIS one). I have been working on the print of this photograph for a while and even tried different papers. Originally, I thought a watercolor paper would fit the blurry colors, but for my taste the structure of the paper was too dominant and I settled for a matte, smooth paper instead. I am rather fond of moving autumn leaves or colored leaves bathing in water in general. 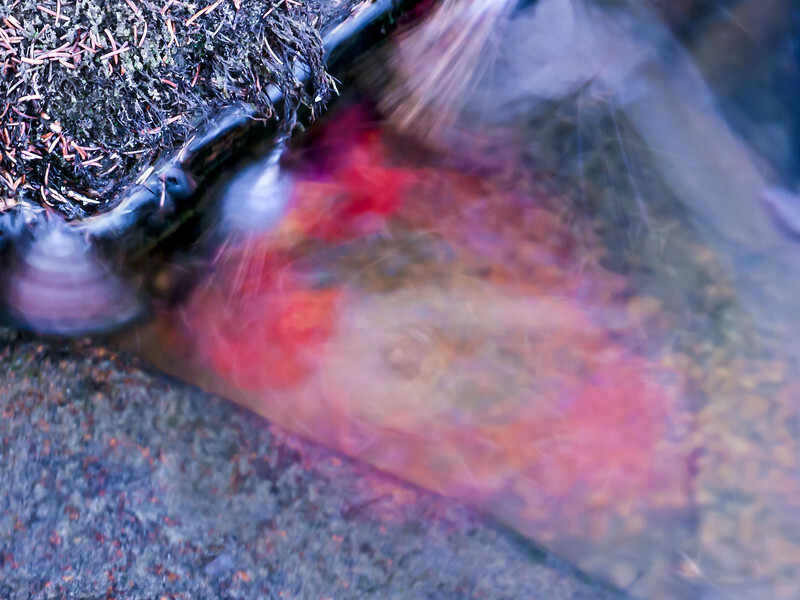 The example above is a long exposure (15s) and the red traces were created by swirling maple leaves. Also note the pine needles sticking to the rock in the top left part, but also moving in the water. Would you like to suggest a photograph for the December print?